Unburied secrets burn like wild steam – nothing is what it appears! Very Positive (421) - 89% of the 421 user reviews for this game are positive. Irony Curtain: new trailer released! Irony Curtain: From Matryoshka with Love is dropping in with a brand new trailer! Read in the [classified] file cases before they are intercepted by enemy agents! Grab the chance to embark on a spy adventure taking place right in the middle of a clash between two powers. Step in the shoes of Evan, a lowly pen-pusher, who visits the weird, communistic Matryoshka – and is incidentally involved in a Lukewarm War intrigue. Irony Curtain: From Matryoshka with Love will be coming in Q2 2019. Add the game to your wishlist and stay updated! 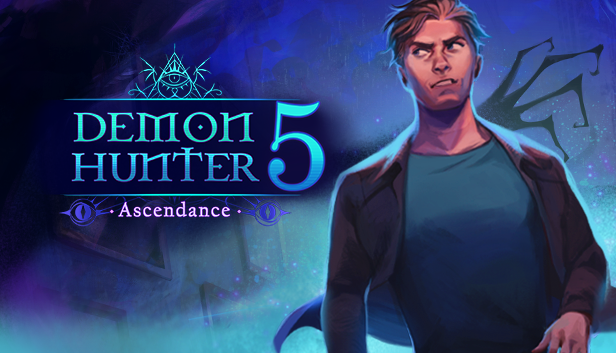 Demon Hunter 5: Ascendance will be available at a discount for 7 days after the launch. Clockwork Tales: Of Glass and Ink is an adventure game in the steampunk genre. It is a detective drama featuring action elements such espionage, monster battles and even hang-gliding! A continuing string of strange earthquakes are causing the world’s cities to crumble to ruin. Dr. Ambrose Ink—one of the foremost minds of the technological revolution—hopes to expose the underlying cause of this supernatural phenomenon. His research leads him to Hochwald, a town nestled high in the mountains near the mysterious Barber family castle. Yet, shortly after arriving at the estate, Dr. Ink disappears. It’s up to Dr. Ink’s longtime friend and confidante, Agent Evangeline Glass to save Dr. Ink and reveal what is causing the earthquakes. With only a mechanical raven to guide her, she must storm the well-secured castle and face the General Engineer of Gottland. © 2014 Artifex Mundi sp. z o.o. All rights reserved. Artifex Mundi is a trademark of Artifex Mundi. All registered trademarks are the property of their respective owners. 27 Curators have reviewed this product. Click here to see them.